I'm incredibly slow with this particular installation but I think it's absolutely stunning. 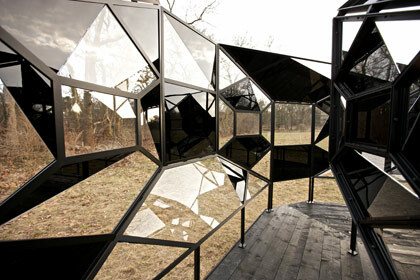 The installation features an intricate metal framework housing many windows, some transparent, some opaque, some empty. 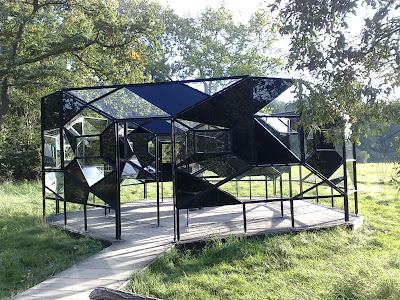 The reflective qualities fragment and break up the form even more, as well as replicate it's surroundings. 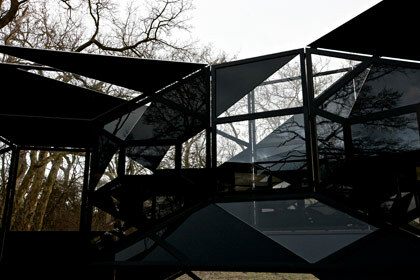 The most impressive aspect of the piece is that standing right at the heart of the structure yields a sheer black panorama as all the blacked out pieces fall into place like a jigsaw puzzle. I love clever installations such as this and wish I'd known about it much earlier!!! 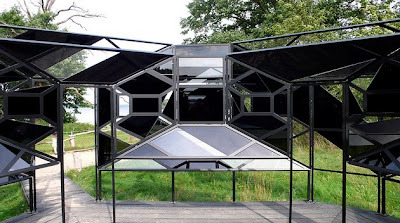 Check out more images below and you can also see a video of it on Olafur Eliasson's site.